I life in a small village in the Netherlands. The local people are all in to sports. They play a lot of sports at the local clubs (tennis, football, hockey, basketball, ice skating and more). This is a lot of fun and many beers are consumed after the matches and games. But there is more because 80% of those people like to place bets on both local and international sports events. During our tennis tournaments we place bets on selected games. We predict the outcome of the sets and we predict a winner. This is offline sports betting because it is so local. But 80% of the people participating in this local betting also play online. Everybody has his own strategy and favorite events and teams/ players. Butit is interesting to have a look at how to win with online sports betting. Are there any strategies to higher up your chances? Are there certain sports that are easier to predict? How does betting work? Where can you find the best odds? In this tutorial I will give you my opinion and my few on how to win with online sports betting. Of course I am not a sports betting legend, but I have build up some experience in the last decade. And I love to share my view of the market with our visitors. Before you can start betting on sports you need to choose one or two reliable betting partners. When you watch international sports events you see a lot of betting partners as main sponsors. William Hill is sponsor of the World Darts Championship. All English football clubs have an official betting partner. When you look a rugby match you see betting sponsors around the fields and on the shirts. There are so many different bookmakers available and it is up to you to choose one or two of them. Of course I am going to make things a bit easier for you because there are unreliable ones that you need to avoid. 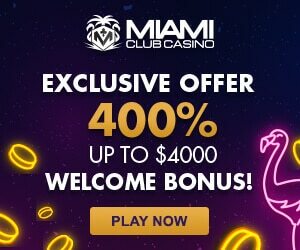 In the underneath table you find the best betting partners selected by BestBettingCasinos.com. All the bookmakers in this table are proven to be safe and reliable. Me and my team tested them all before we added them to our website. We only want the best bookmakers for you as a visitor of our website. When you decide to try one or two of the partners in the table your money and bets and pay outs are 100% secured. Tip: When you join a new sports betting partner use the available bonuses. With the bonuses you can collect an amount of extra play money. With extra money it is easier to win with online sports betting. If you are new to sports betting it is very important to choose the right sports. I always recommend to start betting on sports that you like, play and follow. It is much easier to predict a winner when you know something about the sport or the teams and players. When you bet on your favorite teams or players you know a lot of them and you know whether they are on a good run or not. You probably watch a lot of the games of your favorite team, so you know what you can expect from them. It is not a good idea to bet on random sports or events because you have no clue about it. Betting on sports will always be gambling. But when you know something about a sport, the risk of losing money becomes a bit smaller. Underneath you can find a selection of sports you can choose from at the major online bookmakers. The best tip about how to win money with online sports betting is the “place simple bets” option. When you start with sports betting it is recommened to start with simple bets. For example: When I bet on football matches, I always choose 1 single game. And I choose a winner from the two teams. Now you have 33% chance of winning your bet. When a certain team is better this percentage will grow a bit. But in the end you always have 33% chance of winning a bet when you choose 1 result. A game ends in a home win, a draw or an away win. There are a lot of people adding extra games to their bet slip to higher up the potential winnings. This is a bad idea. You can better bet on 3 single matches than bet on 1 betslip with 3 different games. And when you decide to start betting I recommend you to start with match bettings. Choose a team or player you think that is going to win. Place an amount of money on that bet and see if you win the bet. Don’t start with complicated bets like: correct score, handicap bets, over/ under, goal scorers and so on. Those bets are much harder to predict and so your chance of winning is much lower. Betting can be fun (when you win?). But why not making it even more fun. I always bet on games or events I am going to watch on the TV. Or I am going to watch the games I am betting on. When you do this it makes the bet more fun because you can actually see what happens. And you can also anticipate during the game at the live betting section. 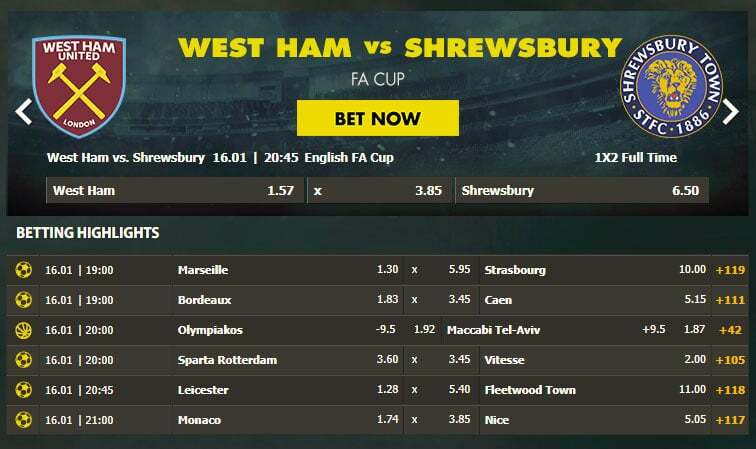 When a game go’s the other way as you predicted you can place live bets at bookmakers to secure yourself or you can win even more when a game go’s your way. Of course you want to win huge amounts of money. But is that achievable? I am a sensible gambler and I rather win 10 small bets than 1 big bet. When you win 10 small bets you feel a lot more happy because you win multiple bets. You can say you are getting better at sports betting because you are predicting a lot of good results. This gives you good vibe and it brings in money. Of course you won’t win huge amounts of money with small bets. But isn’t it better to win a lot of small bets instead of winning 1 out of 20 big bets? When you win a lot of small bets your money balance grows slowly and you are having a lot of fun because you are watching a lot of sports events. And those events also bring in money. So double fun (if you win the bet). On top of that you get more and more experience with betting on sports when you make small bets and win small amounts. The more you bet the more experience you get in all the betting options. In the next paragraphs I am going to explain you more about different sports betting options and live betting. In the past it was only possible to predict the results of a game or the correct score of a certain game. The last few years online sports betting companies added a lot of new betting options. On an average football game there are already over 100 different betting options available. In the underneath screenshot you see a number of football games you can bet on at Bethard. As you can see there is a number behind each game. This number is the amount of available bets on that particular game. As you can see there are 119 extra bet options when you want to bet on the Marseille against Strasbourg game. When you have a good feeling before a certain sports event or match you can try to place a special bet. I most cases it is a harder bet than a normal match bet. But the odds on special bets are much higher in most cases. If you feel lucky or you have some inside information about a game you can search for a bet that fits your feeling or information. I am going to explain you the most popular special bets and how to win with online sports betting with those bets. If you know a player or when you are sure your favorite player is going to score. You can place a bet on him or her to score a goal during a game. There are 3 different options (first, last, any). You can predict a player to score the first goal, the last goal or just a goal. When you choose the “Any” goal option the odds are the lowest but you have the biggest chance of winning the bet. The “last goal” bet normally has the highest odds and of course it is the hardest one to predict. One of my favorite bets is the Handicap bet. this is a bet that gives you the chance to higher up your odds on a normal match bet. Let me give you an example. Above you see the normal match bet on the Ajax against AZ Alkmaar game. When you think Ajax is going to win with a goal difference of 2 goals or more you can try a handicap bet. With a handicap bet Ajax starts with a 0-1 goal line. So AZ starts with 1-0. Ajax needs to score 2 goals to win this match. Of course the odds on a handicap bet are much higher because it is harder to predict. But in my opinion the handicap bets are a good way to win money at online sports betting. Underneath you find the odds for the handicap bet on this game. At every match or game (backetball, football, rugby and other team sports) you can predict the half time and full time results. For example: Barcelona plays against Real Madrid and you think Barcelona will win both halves. In that case Barcelona needs to score at least one goal in each half and Real Madrid can not score. You can bet every combination. The biggest odds are on the Home game to win the first half and the Away game will win the match. Choose your preffered combination and try a small bet because this is one of the hardest bets around. I recommend you to not place this bet when you are low in budget. This is an allmost impossible bet to predict. Predict the correct score after the normal time in a game. You can use the correct score bet at allmost every sport at an online sports betting website. The higher the score the higher your bets will be. Sometimes it is fun to put a low amount of money on a high score like 5-0, 6-0 or 7-0. There are rare cases that better teams win with these scores against lower league teams. Find that game and you can hit an interesting win. Who will win the event? Which player is going to be topscorer? Tournament bets are super popular and when you predict it correct you can win super interesting amounts of money because the odds are pretty high on those bets. When you want to try a few special bets, i recommend you to join Bethard or Betvictor because they offer you 200% free play money. Join the betting partner and make a real money deposit. The betting partner triples your first deposit amount. And with all the money you can start placing special bets or simple match bets. I hope you enjoyed reading my blog about “how to win with online sports betting”. To make things a bit easier for you I made a summary of tips underneath. When you follow these steps and use the tips you have a bigger chance of winning some money while betting on sports.